By Rabita Aziz on August 30, 2010 . When Mark Heywood helped found the AIDS Law Project in South Africa in 1993, there were slightly fewer than one million South Africans infected with HIV/AIDS. There was no national antiretroviral treatment (ART) program, and drugs were extremely expensive, making it almost impossible for people living with HIV/AIDS to get treatment. Mark Heywood, founder of the Treatment Action Campaign and the AIDS Law Project, speaking to Congressional staffers last week in South Africa. The AIDS Law Project aimed to improve the lives of those infected by using the legal process to garner more rights. For example, they launched a case against South African Airlines for refusing to employ those infected with HIV/AIDS as cabin crew. “If you had HIV, you were blocked in your life experiences,” Heywood said when speaking with Congressional staffers last week at his Johannesburg office. He spoke about the current state of the HIV/AIDS epidemic in South Africa and discussed the challenges in the fight against the deadly disease. Almost two decades later, more one million people are currently receiving ART thanks to funding from programs like the President’s Emergency Plan for AIDS Relief (PEPFAR) and the Global Fund. About 40 percent of people who require treatment are receiving it. 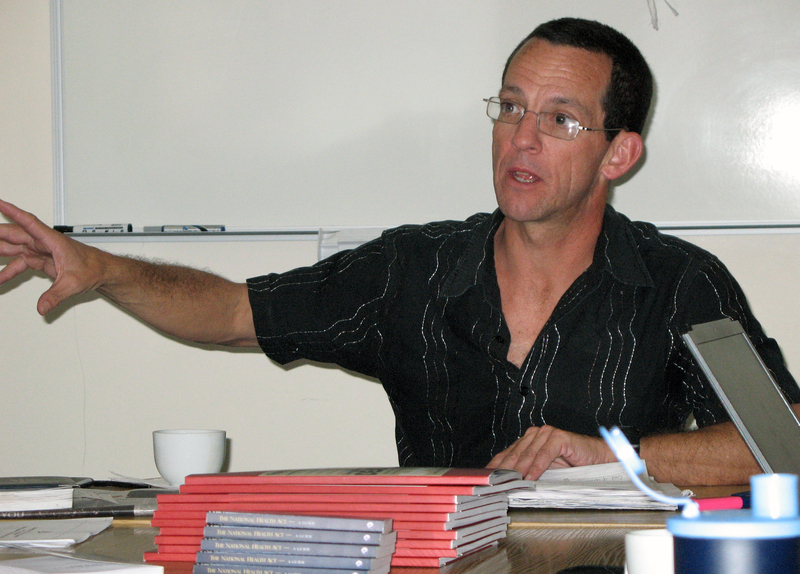 Now Heywood, also one of the founders of the Treatment Action Campaign, is the deputy Chairperson of the South African National AIDS Council and the director of Section27, a public interest law center that seeks to influence, develop and use the law to protect, promote and advance human rights. Section27, which incorporates the AIDS Law Project, was established in May of this year and is named after section 27 of the South African Constitution, which provides that everyone has the right to have access to sufficient food and water, social security and health care, including reproductive health care. Heywood worked with the South African government to draft the National Strategic Plan (NSP) on HIV/AIDS in early 2007, four years after a national ART program began. The NSP, which runs until December 2011, is the most ambitious plan to fight HIV/AIDS in the world. It aims to reduce incidence by 50 percent by the end of 2011, and aims to have 80 percent of people requiring treatment on ART. Heywood explained that the South African government had not always been so responsive to the AIDS epidemic. One of the two largest challenges to fighting the disease in the last decade was the government’s entanglement with the denial of AIDS in the late 1990s. Now there’s abundant political will to respond effectively to the epidemic, but it has grown so large it is difficult to manage. In addition, the government doesn’t have enough resources to tackle the disease. Heywood explained that the health care system in South Africa is more unequal now than it was under apartheid: private insurers spend ZAR80 million ($10.8 million) per year insuring 16 percent of the population, while the public sector spends the same amount insuring the rest of the population. The health care system also is plagued by a lack of human resources. However, community health care workers are seen as a solution to a fiscal crisis. An estimated 70,000 community health care workers are informally employed by NGOs, but they often lack supervision and resources. There have been reports of community health care workers wrapping plastic bags around their hands when dealing with patients, because they have no access to plastic gloves. Their salaries are equally dreary: about $100 a month. On top of a poor health care system, the price of drugs adds to the challenges of battling HIV/AIDS. South Africa is paying more for drugs than any other African nation due to restrictions on purchasing generic drugs. It has a two-year tender with the drug company Aspen Pharmacare, with the stipulation that the government must pay locked-in prices for drugs even when prices have come down, with no possibility for renegotiation. The government does not allow compulsory licensing due to fear of importing low quality generic drugs. This means the government can only purchase name-brand drugs while generic drugs cannot be imported. Heywood explained that the government would change their policy if the U.S. and other Western governments pressured them into expanding their procurement options. Heywood emphasized that this is not the time to pull back on funding from PEPFAR and the Global Fund. He explained that the flat lining of funding would result in a rapid reversal of the ground gained in the fight against HIV/AIDS. This entry was posted in Congressional Study Tour 2010: South Africa and Zambia on August 30, 2010 .